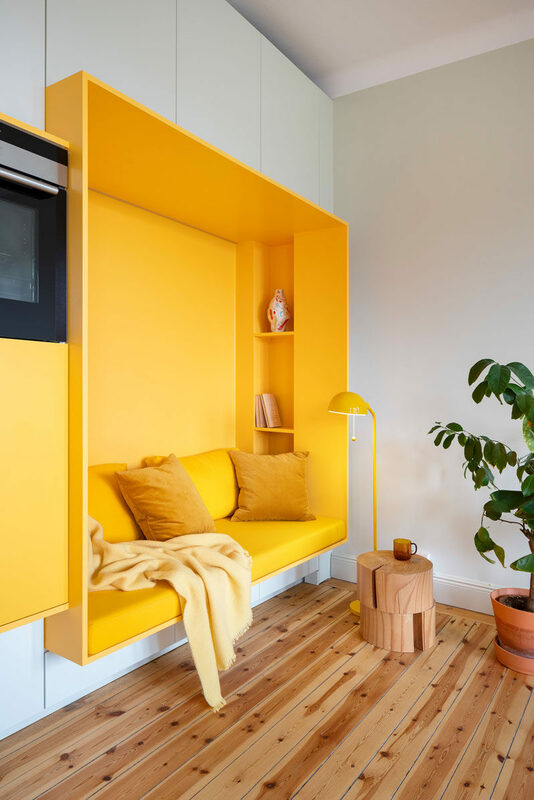 At the end of the wall is the seating nook, where a small built-in bookshelf sits beside yellow upholstered cushions that provide comfort for a day of reading. 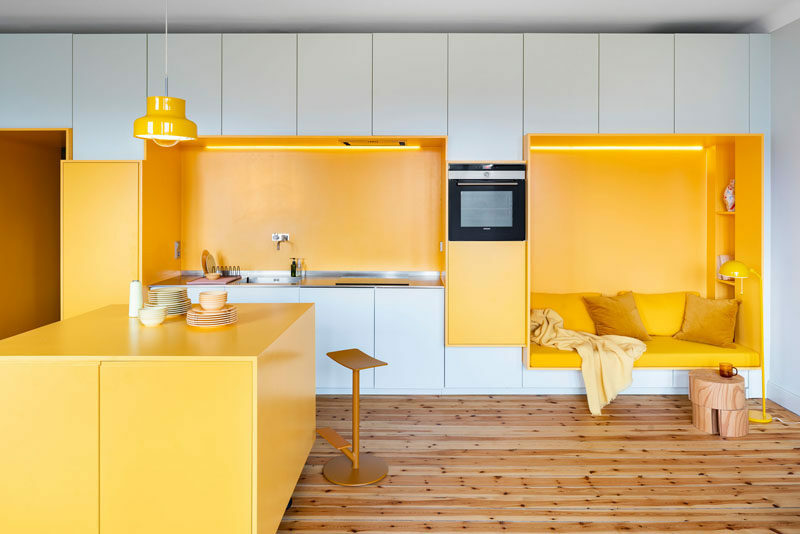 In the kitchen, hidden lighting adds a bright touch, while a stainless steel countertop contrasts both the yellow and white cabinetry. 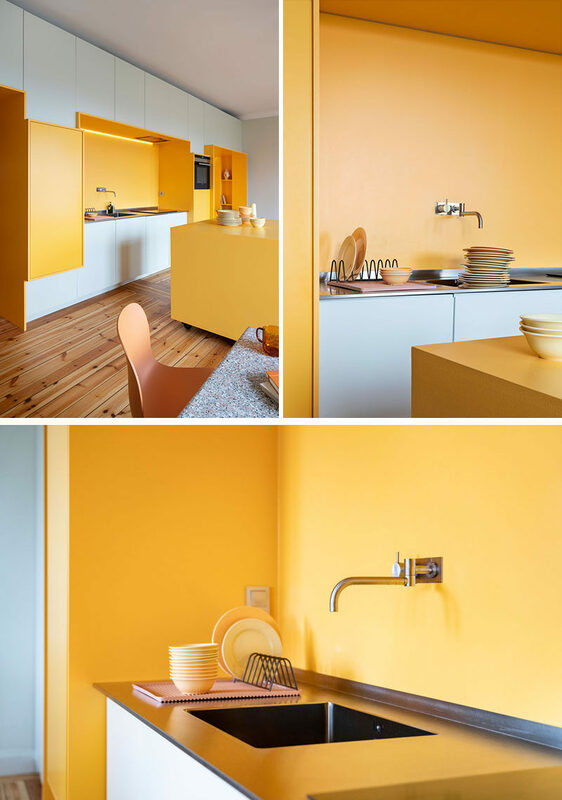 A yellow island provides additional storage for the kitchen. 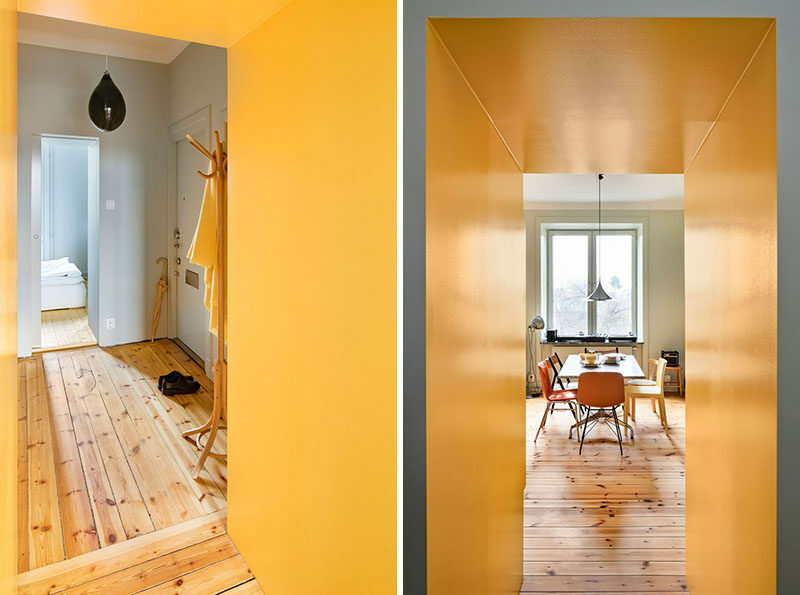 Yellow has also been used as to brighten up the bathroom that’s located in the entryway by the front door. 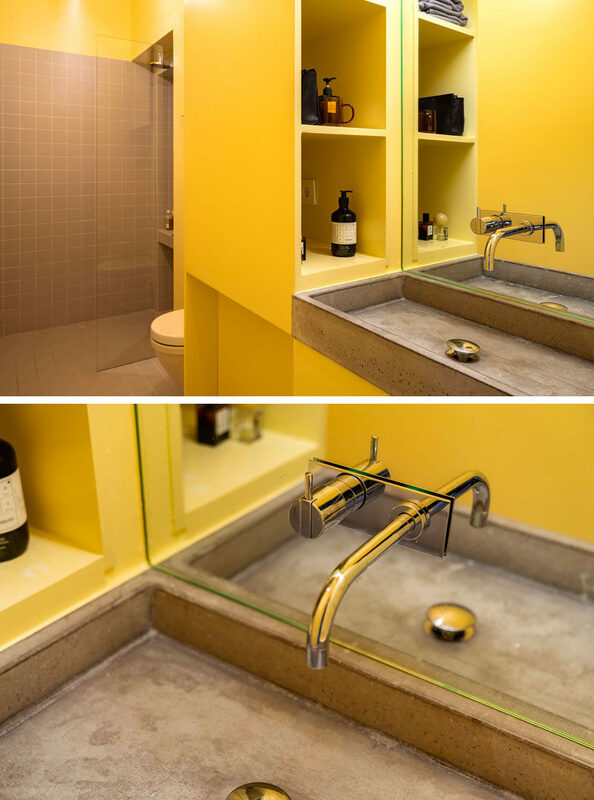 Grey tile in the shower and on the floor complement the concrete washbasin.